I never worried about my hair. Not for one second. And that’s no small statement. The hair is about all I have. Say this about Jacoby Ellsbury. He never — not for one second — pretended he wanted to end his career in Boston. You could not trap him into making that statement. 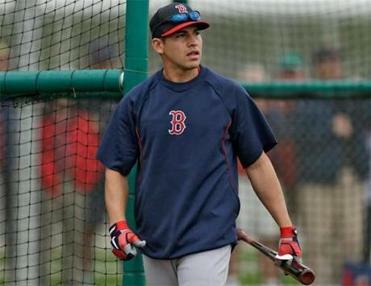 Ellsbury was the all-time lone ranger in the Red Sox clubhouse. There was nothing evil or contrived about him. He came to work, did his job, and went home. He seemed to be a content man with no friends and no enemies in the Sox clubhouse. After Jed Lowrie left, Dustin Pedroia was the only Sox teammate who could make fun of Ellsbury. Pedroia and Ellsbury dressed near one another, but Ellsbury was rarely at his locker during media availability. “Where’s Ells?’’ we’d ask Pedroia. There is no way the talented but oft-injured centerfielder will re-sign with the Red Sox after this season, writes Globe columnist Dan Shaughnessy. Clubhouse chemistry and camaraderie didn’t matter much to Ellsbury. Baseball is a way to make a living. Along with agent Scott Boras, Ellsbury had been planning on hitting the jackpot since the day the Sox drafted him in June of 2005. “Go for it,’’ Ellsbury said with a smile. He never drifted off message. Not once. After hesitation, he said, “Like I’ve done every year. Like I’ve said before, I love playing here. I enjoy my teammates. I enjoy the fans. I enjoy spring training and seeing everybody out here. Give the guy credit. Nothing phony there. We know what he is. Ellsbury is a very good player. He is a 30-year-old center fielder with a career batting average of .297. He stole 52 bags last year and was caught only four times. He was caught only twice by catchers. He no longer hits for power. Ellsbury was a 32-homer, 105-RBI guy when he finished second in the MVP voting in 2011. He never hit 10 homers in any other season. He has a jelly arm in center, but he gets to a lot of balls and rarely makes an error. His career OPS is .789. He should hit some homers in Yankee Stadium’s jet stream porch in right. He has been injury-prone. In 2010, he crashed into Adrian Beltre, broke some ribs, and played only 18 games. In 2012, an infielder landed on his shoulder in the home opener and Ellsbury played only 74 games. He broke a bone in his foot last season, missed 28 games, but gutted it out and came back for the playoffs. In the end, it didn’t hurt him. The Yankees just committed $153 million over seven years to a guy who has missed 264 of the last 648 regular-season games and has hit more than nine homers only once in his six full major league seasons. There will be some local effort to paint Ellsbury as the Fourth Horseman of the Pinstripe Apocalypse. Wade Boggs, Roger Clemens, and Johnny Damon all chose the Yankees (Clemens got himself traded to New York after two years in Toronto) after long careers with the Red Sox. All three won championships in New York, and Boggs and Clemens actually rode horses in Yankee Stadium. Now Ellsbury. Are you going to boo him the way you booed Damon, Ray Allen, and Adam Vinatieri? But there’s not as much emotion this time. In addition to never promising to end his career in Boston, Ellsbury never pledged to eschew the Evil Empire. It’s magic for a front office intent on keeping the customers satisfied and staying competitive. All the fans are on board. The lessons of the Final Days of Tito and Theo have enabled the Sox to stay fiscally sound and get applauded for holding the line (as if it’s somehow good for fans when John Henry saves money). Plus, I get to keep my hair. Here at the John Henry Globe, I’d call this a win-win situation.